My mom threaded my first needle and taught me to sew. My grandmum sat with her arm around me and instructed me in knitting. But it was my dad who taught me to darn. Because my dad worked outside every day in Montana’s varying weather, he became a great believer in wool socks. He told me that on at least one subzero day, even though he had fallen through ice and gotten soaked, his toes didn’t freeze because he was wearing his wool socks. On wet days, wool socks might get damp, but they still felt warm. And, as a welder, he had noticed that unlike other fibers, wool didn’t burn or even melt from stray sparks. I’ve since learned the science behind both of those facts, but, for my dad, his experience alone was reason enough for him to invest in wool. So my brothers, my sister, and I could always count on getting several pairs of wool socks for Christmas, as well as a few more pairs throughout the winter. If we had to work outside on a cold, wet day, we put on wool socks. If we went skiing, wool socks. After I left home, if I complained of being cold, I would get a package of wool socks in the mail. Even when I lived halfway around the world in a country known for its fine wool, the socks from home still arrived. 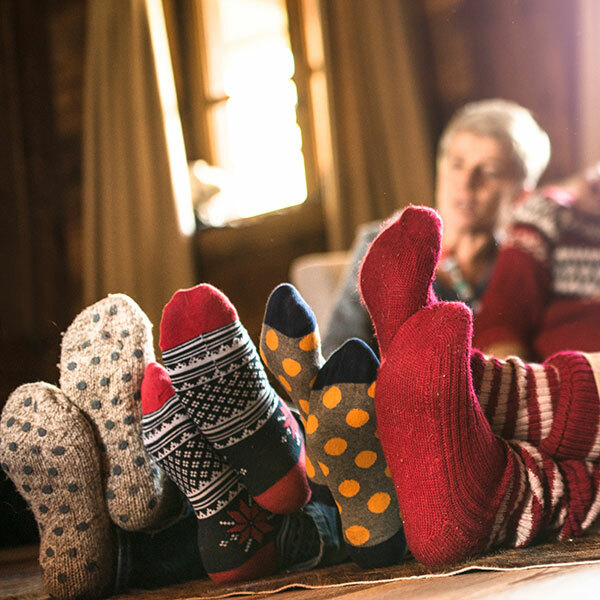 Although my grandmum was a great knitter, she could not have kept us all in stockings, so my dad stocked up on wool socks for the family at Don’s Western Outdoor Store or the Montana Woolen Shop. Sometimes the socks were soft and cushy, but more often they were simple ragg wool socks that wore thin at the heels, leaving the most sensitive part of the foot exposed to cold and prone to blisters. So my dad gave me another gift: He taught me how to darn. I suppose most people who grew up during the Depression knew how to darn, but most of them didn’t take the time to pass the skill on to their teenage children. He showed me how to put a lightbulb in a sock, stretch the fabric over its smooth surface, and sew a reinforcing square around the hole. He then demonstrated how to stitch a warp of yarn across the worn knitting and weave in perpendicular weft threads to fill the hole. He would add a couple of diagonal lines for extra strength, and the sock was better than before—if, perhaps, a bit lumpy. After I became a sock knitter, I learned that this darning method is “wrong.” You’re supposed to be able to reknit the area or use duplicate stitch to reinforce it. I also acquired darning tools to help me do it better—a darning egg and special yarn needles with curved tips. The first socks I ever made took so long to knit and were so precious that I wanted only the best for them. I painstakingly reknitted their first holes with leftover yarn. After fixing several weak spots over time, I ripped the feet out completely, discarding the worn yarn. I used high-strength sock yarn to reknit the heels and toes and reused the remaining original yarn with a strand of reinforcement thread for the rest of the feet. This repair held up for some time. Now I see that my first and favorite pair of socks is in need of repair again. I could, of course, do it the “right” way, with the official tools. But as I sit down to the task, I find myself reverting to my dad’s method. I find it easier, more familiar, less fussy. I even prefer a big slippery light bulb to my antique wooden darning egg. I suppose, too, that I am attached to a darning method I learned from someone I loved. When I reknit, I always struggle with the needle, trying to remember which way to go. When I darn, I simply weave “under, over, under, over.” With the familiar, comfortable rhythm, my mind is free to wander a bit—and I remember it all. This article was originally published in Interweave Knits Spring 2011. I just read this post, I love it. My mother always darned our socks, alas not wool or hand knit! 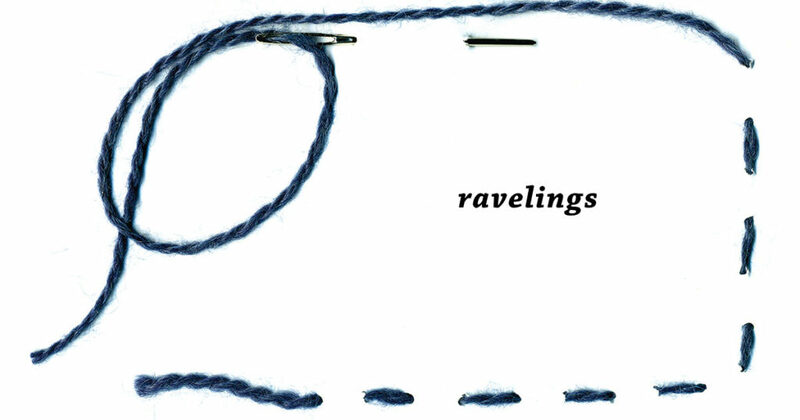 When I became interested in darning, it was my grandmother who taught me. Now my children and grandchildren bring me their socks to darn because the feet get holes long before the tops give out! I love darning because it is comforting, no pattern to check, just under, over, under over. I hope to pass this on to one of the grandkids at least! Again, loved your article, we are keeping our past alive…..